Images of a rare astronomical event that has not been witnessed for more than 100 years have been captured thanks to the efforts of astronomers from the University of Southampton. The Southampton team was part of an international study led by astronomers from UCL (University College London) that recorded the explosion of a binary star inside a planetary nebula. At the ends of their lives, some stars undergo nova explosions, caused by nuclear reactions on their surface. 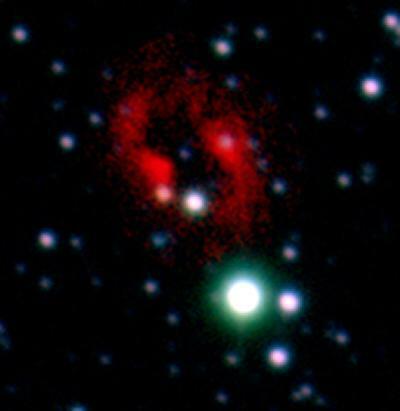 In August 2007, one such exploding star was discovered in a part of the sky that had been observed by the research team. The pre-explosion images showed that this particular star was surrounded by a planetary nebula. Although several novae are discovered each year in our Galaxy, this is only the second time that a nova has been seen inside a planetary nebula, the first being Nova Persei in 1901. The opportunity to watch in detail as the nova flash interacts with the nebula is a first in astronomy. The images were taken as part of the Isaac Newton Telescope Photometric HAlpha Survey (IPHAS), the first digital survey of the Milky Way in visible light, and the most comprehensive yet in the light emitted by hydrogen (the most abundant element in the universe). The study was published in the latest issue of Astrophysical Journal Letters. Dr Roger Wesson, UCL Physics and Astronomy, adds: “The star which erupted was a nova, an event caused when matter is transferred from one star in a close binary system onto its companion, eventually triggering a runaway thermonuclear explosion. The nebula surrounding this nova is a planetary nebula, which must have formed during an earlier phase in the binary star's existence, when the outer layers of one of the companions were expelled.